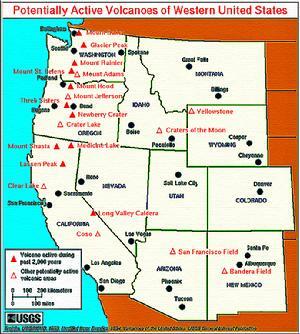 V O L C A N O E S, are "Everywhere"
Click To Enlarge: Western U.S. In 1783, a poison cloud from the eruption of Iceland's Laki volcano killed thousands of people across Europe and undermined farm output by spewing an estimated 120 million tons of sulfur dioxide into the air, said Colin Macpherson, a geologist at the University of Durham in England. That amount of sulfur dioxide was three times European industrial output in 2006. In 1815, the Tambora volcano eruption in Indonesia killed an estimated 92,000 people, and its ashes swept all the way to Europe, blanketing the continent and turning 1816 into a "year without summer." In 1883, Krakatoa erupted in Indonesia killing 36,000 and created vivid red twilights in Europe from November 1883 through February 1884 � a fact reflected by painters of the period. The 1980 Mount St. Helens volcano eruption in Washington state, in which 57 people died, created a cloud of ash 2,500 miles long and 1,000 miles wide. The most dangerous gases released during an eruption are sulfur dioxide, carbon dioxide and hydrogen fluoride. High levels of ash particles can cause increased coughing and irritate the eyes and skin and sometimes result in serious lung conditions. When the acid coating on ash is removed by rain, it can pollute local water supplies and damage vegetation. On the other hand, ash deposits can be beneficial by improving the fertility of soil. 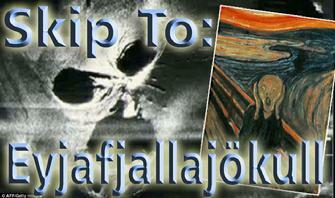 Three previous eruptions of Eyjafjallajokull are known in the 1,100 years of Iceland's recorded history. The most recent began in December 1821 and lasted for more than a year, then a neighboring volcano erupted in 1823. 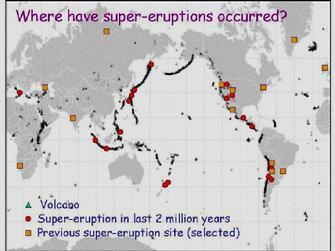 Other eruptions include one around 1612 and 920. Longer term, sulfur from volcanoes has the potential to cool the Earth. Sulfur reacts with water in the air to form sulfuric acid droplets that reflect sunlight hitting Earth, thus blocking some rays. The reduction in sunlight can reduce temperatures for a year or so, until the droplets fall out of the atmosphere. Pinatubo is known to have cooled the planet by 0.9 degrees Fahrenheit. Some experts advocate the deliberate injection of sulfur dioxide in the stratosphere in a "geo-engineering" short cut to slow global warming. That option has become attractive for some after a U.N. climate summit in Copenhagen in December failed to produce a binding global deal to cut emissions of greenhouse gases. Others say the risks are too big � ranging from disruptions of weather patterns to acid rain. 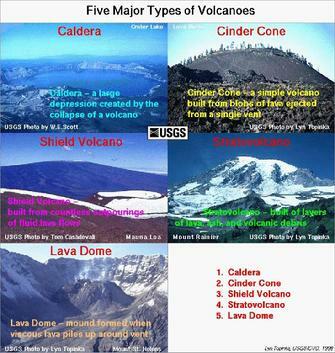 NOTE: There are three caldera systems that had super-eruptions in the past 2 million years. Note: A current series of Earthquake Swarms (currently totaling over 1000) began on Jan. 17th, 2010. Unless the swarms reach or go over 4.0 ... they aren't considered an issue as earthquakes at Yellowstone are regular and "no big deal". BUT - Except; At this time; there have been more quakes in 5 days that are ever recorded at Yellowstone for an entire year .... "ever". Also, anecdotally reported, is the wonder that the "Old Faithful" Geyser has been "missing" a few eruptions. The Geyser is called "Old Faithful" because it Never misses a display. If nothing else; there is implied some sort of "change" is occurring. WHAT ABOUT IN THE PAST? 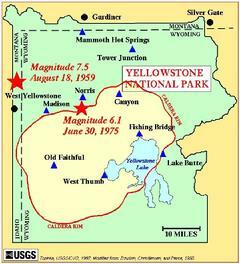 The last significant earthquake at Yellowstone in recent history was a 7.3 recorded on August 17, 1959. A 3.8 was recorded on Jan 20, 2010 at 11:16 PM Local Time. 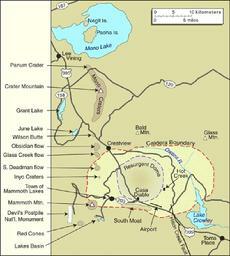 In late December 2008 and early January 2009, Yellowstone experienced what was then the second largest earthquake swarm in its recorded seismic history. 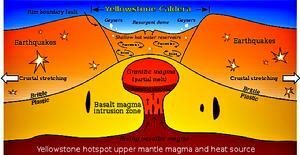 The swarm under the north end of Yellowstone Lake consisted of 813 earthquakes with magnitudes ranging up to 3.9. The largest swarm was 3,156 earthquakes during a three month period starting on Oct. 4, 1985, according to the University of Utah. 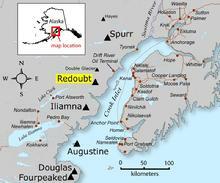 The strongest earthquake in the swarm registered a magnitude of 4.9. The most devastating earthquake in recent history in the Yellowstone region occurred on Aug. 17, 1959, when a magnitude 7.3 earthquake hit. It was centered near Hebgen Lake, Mont., killed 28 people and caused more than $11 million in damage. In the United States: The Yellowstone Caldera takes up a large section of the State of Wyoming and & includes parts of Montana and Idaho. Its huge magma chamber is said to be the size of Lake Michigan. JUST "FYI": Remember the Madrid, Spain Terror Bombings? 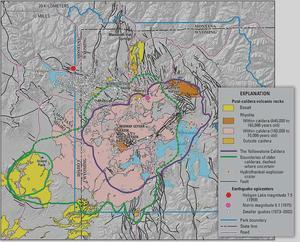 On March 11,2004 the Madrid bombings carried a message related to "The Yellowstone Supervolcano". "setting off a �black wind of death� in America by setting off a nuclear device in the Yellowstone Lake which just needs a pin-prick to blow"